Music fans should stay away from secondary ticketing site, Viagogo - that's the warning from a group of British politicians. 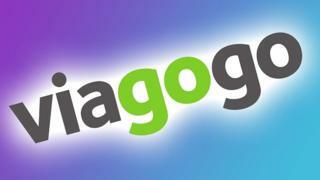 Members of Parliament (MPs) from the Digital, Culture, Media and Sport Committee criticised Viagogo for "misleading" customers into thinking they're buying official tickets for events. Lots of music acts have stopped people who have bought tickets from Viagogo from entering their concerts. This is because the site sells some tickets, which are much higher than the original price. Viagogo says it's disappointed it has been singled out and says that hundreds of thousands of British citizens use its service without ever experiencing any problems. Viagogo is a secondary ticketing site. 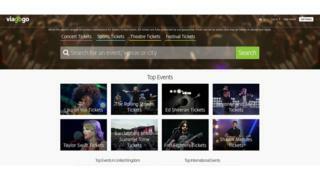 It offers fans the opportunity to buy and re-sell tickets, which were originally bought from official concert organisers. In recent years, the UK government has clamped down on secondary ticketing sites for misleading customers into paying more money than they should. 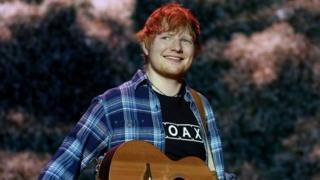 Ed Sheeran became the biggest pop star to ban Viagogo tickets after some for his most recent tour appeared on the site for thousands of pounds - well above the maximum of £150 that tickets had originally been sold for. 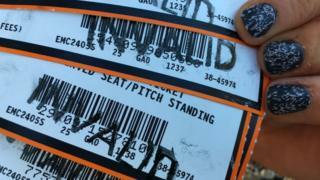 Fans saw their tickets stamped as 'invalid' as they arrived in their thousands at arenas around the UK. They were then offered the chance to re-buy their tickets at the intended original cost. Viagogo has also been taken to court by the group in charge of fair competition in business in the UK. It's called the Competition and Markets Authority. 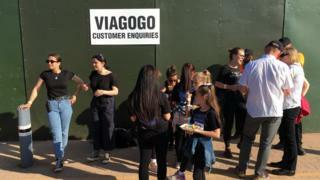 It argued that Viagogo had been misleading customers into paying more money for tickets than they needed to and had been presenting itself as the official seller. Now, a group of MPs who have been investigating the music industry has urged music fans to boycott the site altogether. In response, Viagogo has said it's disappointed it has been singled out. A spokesperson told Newsround: "For those transactions that fall into the 1% annually where customers do have an issue, the overwhelming majority of cases are due to the unfair and potentially illegal restrictions the event organisers pose simply because customers have chosen to purchase tickets from a competitor of theirs." The Digital, Culture, Media and Sport Committee also criticised Google for allowing Viagogo to sit so highly on Google searches for music events. 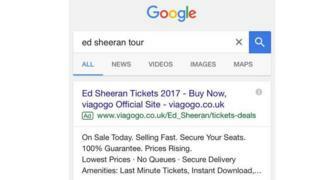 Secondary ticket sites, such as Viagogo, pay Google to appear high up on the search list. When you type in the name of the act you want to see plus the word 'tickets', secondary ticketing sites often come higher up than the official ticker sellers. In 2017, FanFair Alliance - a ticketing campaign group - did an investigation into this. They found that for 77 out of 100 upcoming popular music shows, a secondary ticketing site came higher up on Google search than an official seller. Newsround contacted Google for a response but hadn't received any comment by the time of publication. What if they had flyed on a plane to see the content? If i was to go to a concert, I would always look at the venue’s official website instead so I could look at the actual price.